Silver plating is a practice that is done for a variety of reasons, on both individual and commercial levels. Silver plating is sometimes added to other metals simply to enhance the aesthetic appeal of the item. It is also often used as a way of increasing the conductivity of another metal, particularly in electronic devices. Regardless of the reason for plating an item, the process is the same. All it takes is a few basic supplies, and you can add silver plating to just about anything you can think of. Take a moment to prepare and to follow all safety precautions. Wear safety goggles and a rubber apron as protection against accidental splashing. Also wear thick rubber gloves for handling items, and work in a well-ventilated area to prevent a buildup of noxious fumes. Create an electrolytic bath for your silver plating process. The chemicals you will require can be obtained from a chemistry supply store. Place 1/2 cup silver nitrate powder into a medium size glass bowl. Pour in 1 qt. distilled water and mix with a spoon until the powder has dissolved. In a separate bowl, mix 1/2 cup potassium cyanide with 1 qt. distilled water. When complete, mix both liquid solutions in a large glass basin. Place a battery next to the basin containing the electrolytic solution. 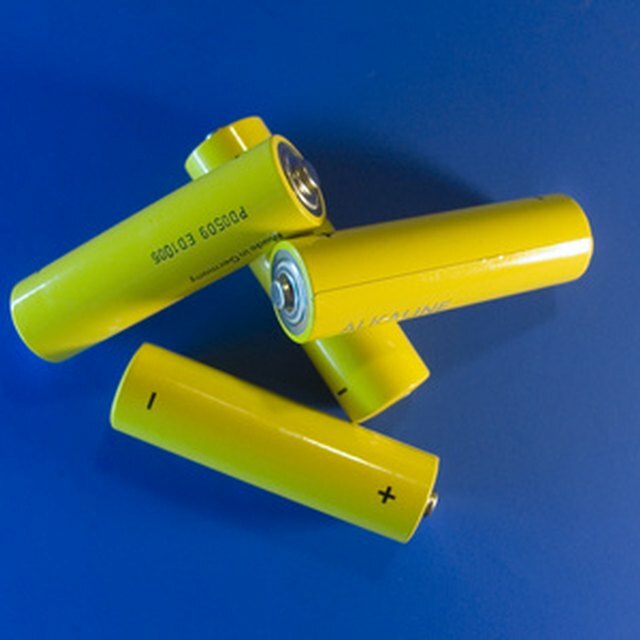 A 9-volt battery is sufficient for most silver plating jobs, although a 12-volt battery is also suitable. Connect a wire to the positive terminal of the battery. The terminal is commonly red and identified with a plus sign. Connect an alligator clip to the other end of the wire and clip it onto a piece of silver, which will serve as the source metal for the plating process. The silver, attached to the battery, is known as an anode. Slowly lower the anode into the electrolytic solution. Connect a wire to the negative terminal on the battery. The negative terminal is typically black and identified with a minus sign. Attach an alligator clip to the opposite end of the wire and clip it onto the item you wish to plate with silver. This is known as a cathode. Slowly lower the cathode into the electrolytic solution. Wait for the item to be plated by the silver. The length of time will depend on the size of the item being plated and the strength of the battery you are using. The process can take anywhere from days to weeks, depending on these variables. Check the cathode each day to see if the entire surface has been plated. If the rate of plating seems too slow, replace the battery with a new one. As the silver plating process occurs, the silver nitrate in the solution will begin to settle on the bottom. Solve this problem by adding a small amount of extra potassium cyanide to the solution and remixing. Which Liquids Will Tarnish a Penny Faster? What Type of Reaction Produces a Precipitate? Garner, Jerry. "How to Do Silver Plating." Sciencing, https://sciencing.com/do-silver-plating-8186858.html. 13 March 2018.